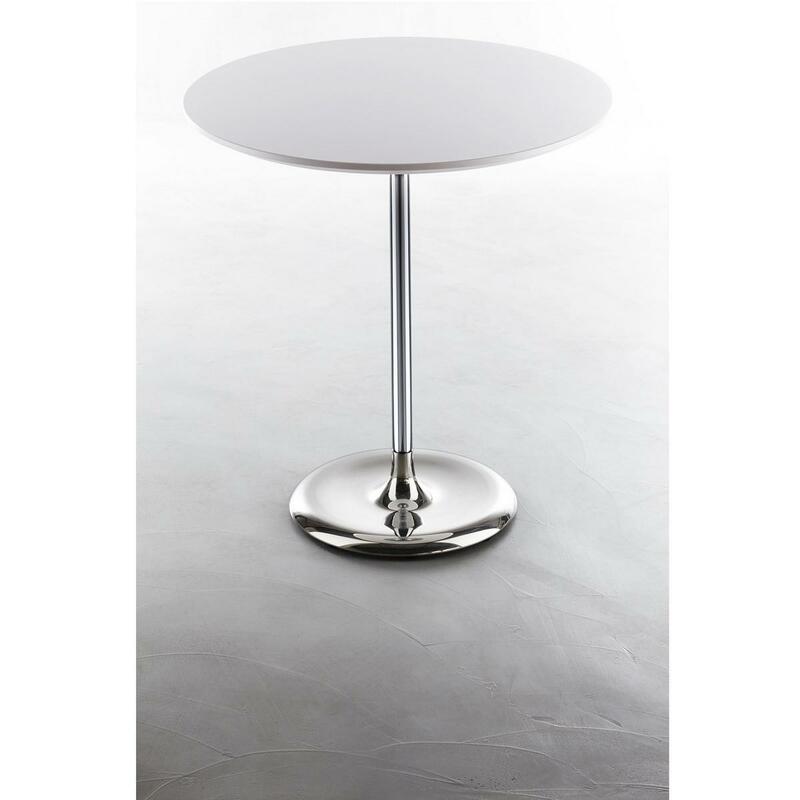 The CIN CIN table by PLANK features a very distinctive curvy chromed base that looks as if it is made of liquid metal. 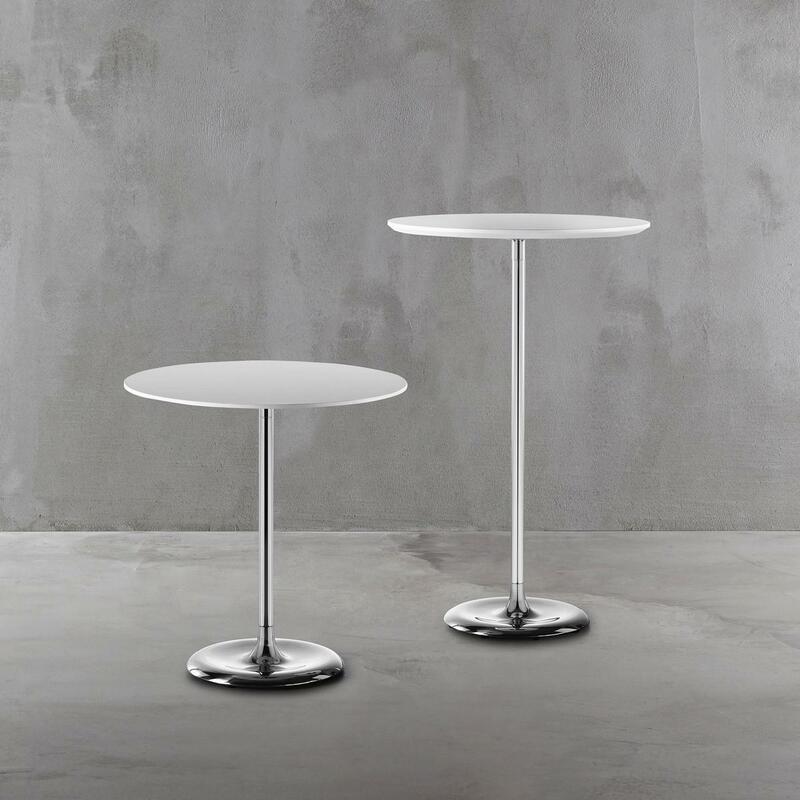 The CIN CIN table is made of a chrome plated metal structure with a table top in high pressure laminate (HPL) or in MDF powder coated in black or white. 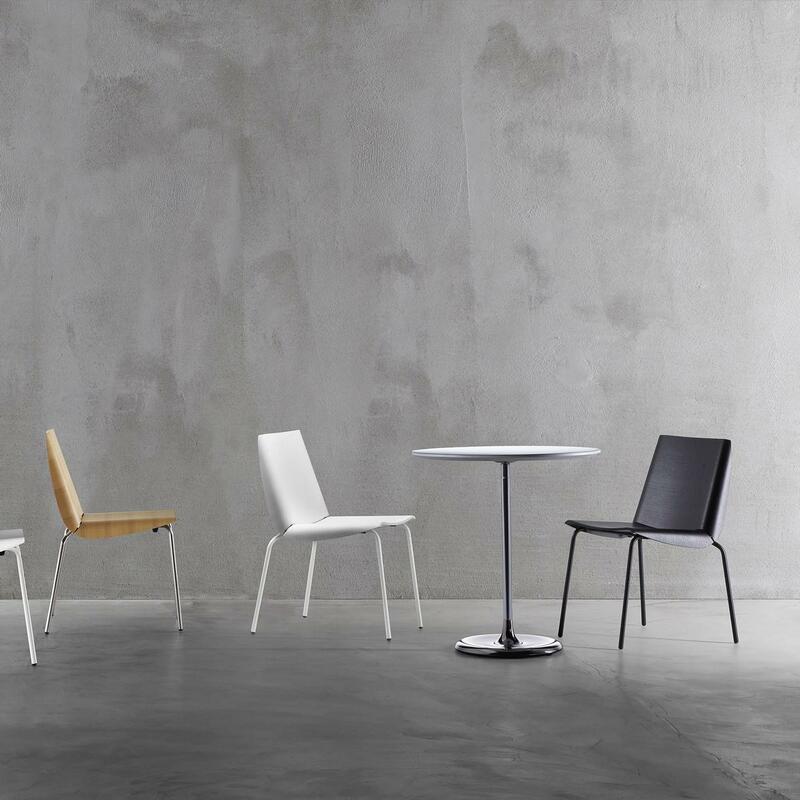 CIN CIN table is also available in a higher version, the CIN CIN high table by PLANK. Material: Chrome plated metal structure (base), table top in high pressure laminate (HPL) or in MDF powder coated. Dimensions: Height 74 - 75.5 cm, Diameter 70 cm (tabletop), 40 cm (base). 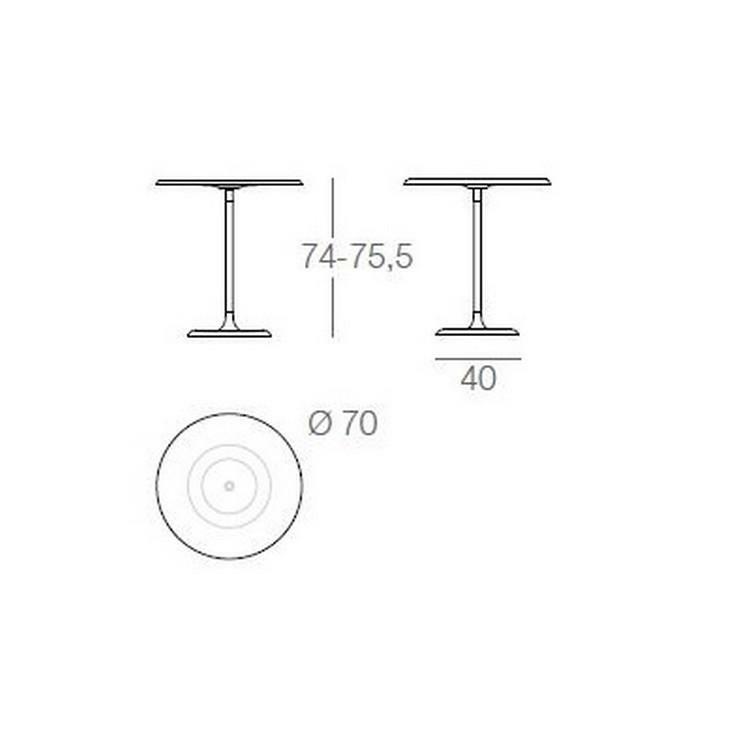 Higher version available, the CIN CIN high table - PLANK.